Later this year Dynamics CRM and Dynamics AX will come together to create the Microsoft Dynamics 365 Enterprise edition. Microsoft Dynamics 365 Business Edition is the set of intelligent Cloud business applications for SMBs with 10-249 employees. 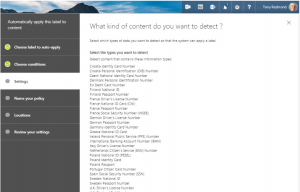 (the ‘Dynamics Ax’ part of D365 is targeted at Enterprise companies i.e. above 250 users). Dynamics 365 Business Edition includes Dynamics 365 for Financials, (which is based the proven Dynamics NAV financials). Microsoft Dynamics 365 for Financials is already available in the USA, Canada and UK, followed by a phased roll out to additional countries. The Sales and Marketing modules of the Business edition of Dynamics 365 will debut during 2017. CRM Online is now called Dynamics 365 for Sales. Other than the name Microsoft Dynamics 365 for Sales, Business Edition (I will call it D365SBE) stems from Microsoft CRM Online. Microsoft has really improved and invested in Microsoft Dynamics 365 for Sales Business Edition.The Business edition will be founded on “Project Madeira” (It is in public preview now). Until this is available SMBs can license Dynamics 365 for Sales from the Dynamics 365 Enterprise Edition at a significantly reduced monthly price per user – until the Business Edition apps are launched. Leads, Accounts, Contacts, Opportunities, Activities, Marketing Lists, etc. are all expected in the Business Edition when it is released in a few months The pricing is still to be released, expect Microsoft to target at an entry level price around $40 to $65 per user per month. Malicious tech support ads – Windows 10 users beware. 1. On Tuesday, Microsoft’s Malware Protection Center announced that it had learned about new strategies to target those using Windows 10 via links that lead to fraudulent tech support sites. 3. Once users have clicked on the link that leads to the fraudulent website, they are presented with a host of security-alert popups that aim to drive users to contact the bogus support call center. To prevent these kinds of attacks, Microsoft’s Windows 10, Outlook.com, Edge, and Exchange Online Protection include security features to block the fake tech support sites and fraudulent emails. According to Microsoft, Edge users can prevent dialog loops by blocking a certain page from multiplying. A new Edge feature gives users the ability to shut down browsers or tabs when facing a suspicious-looking popup message. According to Microsoft,each month “…at least three million users of various platforms and software encounter tech support scams”. Microsoft Dynamics 4.0 will reach the end of extended support on April 10, 2018. If you are using this version, then please plan to upgrade to at least Microsoft Dynamics CRM 2013 or a later version before April 10, 2018 to ensure supportability. The best way to continue to get full support for Dynamics CRM is to upgrade to the latest versions, now known as Dynamics 365. Dynamics 365 for Outlook (“Outlook add-in”) was deprecated with the July 2017 update for Dynamics 365. When a Dynamics 365 feature is “deprecated,” it means intent to remove the feature capability from a future major release of Dynamics 365. The Outlook add-in will continue to work and is fully supported until it is officially removed. However, Microsoft will not invest in new functionality for the add-in. After the removal, the Outlook add-in will no longer work. The add-in is was deprecated with the July 2017 update for Dynamics 365 (online), which was a major release (version 9.0). The add-in will be removed with version 10.0, . The removal applies for versions 10.0 and onwards. Microsoft will continue to support the add-in in versions earlier than version 10.0 until the Dynamics 365 version itself is not supported. Today’s users expect products to be fast, contextual, and easy to navigate. While the add-in has many capabilities, the user experience is not as up to date as the rest of the Dynamics 365 product. COM add-ins (on which Dynamics 365 for Outlook is based) are older, slower, technology which is supported only in limited versions of Outlook. In recent years, Office has released “Office add-ins,” which, unlike COM add-ins, don’t have any code physically installed on the user’s device or Outlook client, and thus result in better maintainability and reliability. The new add-ins are not limited to Outlook running on Windows; they also run on: Outlook Web App, Outlook for Mac, and Outlook for mobile. With the latest Dynamics 365 enhancements, improvements to Dynamics 365 App for Outlook, and with enhancements on the roadmap, users will both have a better experience while using Dynamics 365 App for Outlook and get the functionality they need to run their businesses. The combination of the new Office add-ins, enhancements to Dynamics 365 App for Outlook, and the long time provided to prepare for this change is the reason for announcing the Outlook add-in deprecation at this time. Microsoft Social Engagement 2017 Update 1.7 is ready and will be released in August 2017. •	Get in touch with your audience on YouTube directly from within Social Engagement. •	Users with at least a Responder interaction role can now rate and reply to videos and comments on YouTube. •	Add a social profile for YouTube under Settings > Social Profiles, or get a YouTube profile shared with you before you can interact on this source. •	Additionally, Social Engagement extended the listening capabilities and is now capable of acquiring video posts and comments on YouTube channels. •	Any user with permission to create search rules can create YouTube rules under any search topic and add YouTube channels to gather posts and comments from. •	Keyword-based searches on the video source continue to reside under the keywords rule and now also contain comments for actively discussed video posts. •	Fixed an issue in Social Profiles displaying the wrong icons regarding acquisition usage. •	Fixed an issue for Surface Hub devices where the on-screen keyboard wasn’t shown when defining keyword filters. Our Ax 2012 R3 popular HR and Payroll software was implemented in more than 40 companies. It is now available in Dynamics 365 Enterprise Finance and Operation, with the first implementation already started. The product includes comprehensive payroll features as well as automation of many day to day processes for HR and PRO staff. The latest upgrade of Dynamics 365 Enterprise for Finance and Operations was more than just a name change. A major are of enhancement is embedded Powwr BI analytics. Analytical Workspaces and Business Intelligence Reports (via Power BI) are now directly embedded into the ERP. With these tools, users are able to access powerful, data driven reports without having to leave the Dynamics 365 interface thereby delivering a seamless experience. With Power Apps you can also view Power BU reports on your mobile devices. The term embedded business intelligence (BI) refers to experiences that use highly intuitive and fluid visualizations to provide insights that are relevant to a task, so that user is more informed and can make better choices. Embedded BI is used throughout the user interface. At a technical level, building rich visualizations requires a powerful charting framework, and also an efficient way to access aggregated data that enables the display of fluid visualizations. Finance and Operations meets both of these requirements, so that application developers can build rich and deep embedded BI–enabled scenarios. • Model new aggregate models and customize existing aggregate models as a star schema within Application Explorer. • Modeling for key performance indicators (KPIs) in Application Explorer is supported. • Model data entities by referencing aggregate models and expose those models to external reporting tools, such as PowerBI, as OData endpoints. 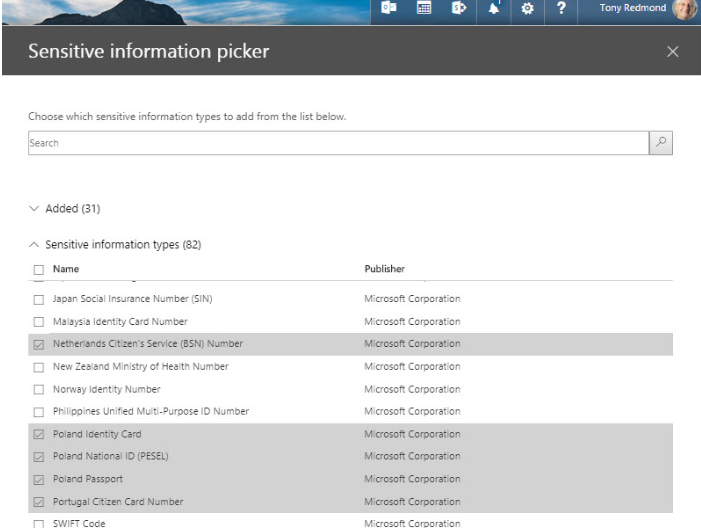 Data entities canbe consumed within Microsoft Dynamics 365 for Finance and Operations. • Consume aggregate models directly in the programming model by using X++ or C# code. You no longer have to write MDX code to consume aggregate data. • Aggregate data is similar to the behavior of detailed data. For example, aggregate data can be enriched with extended data types (EDTs) and enumerations, and you secure these by using Finance and Operations security concepts. • By default, aggregate measurements are real-time. A system administrator, can manage the latency of aggregate data and controls based on available resources and business needs, without having to deal with the complexity of scheduling and external tools. • Finance and Operations perspectives enable easier and more predictable modeling that takes advantage of business concepts that are already available throughout Finance and Operations. This lets developers re-use existing business models, and thus makes the modeling process quicker and easier. Projects that were generated by using perspectives from Dynamics AX 2012 and later can be upgraded to Finance and Operations metadata equivalents. Measures are aggregate numbers, such as Total Sales or Number of Orders. Dimensions are slicers, such as Product, Vendor, or Customer, that help you analyze the measure. For example, the measure of Total Sales isn’t useful unless it can be sliced by Product, Region, and Customer. Aggregate measurements are the evolution of AX 2012 analysis cubes. Whereas a cube was based on a multidimensional online analytical processing (OLAP) technology, an aggregate measurement abstracts the underlying technology. Therefore, you no longer have to know about the underlying implementation technology. The underlying technology infrastructure now also takes advantage of improvements with in-memory real-time technology. The integration of Finance and Operations and Power BI enables data mash-up scenarios that require access to external data sources that are supported through Microsoft Power Query for Excel. Users can personalize workspaces by embedding tiles that are hosted on PowerBI.com. Users can also add direct links to reports that are hosted on PowerBI.com. In this way, users can access and interact with the reports without leaving the application. 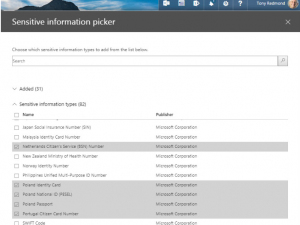 Power BI content (PBIX files) that partners and ISVs develop can be embedded directly into the application. PBIX files that are associated with a model file are automatically published in Power BI Embedded as part of the application deployment process. Microsoft Corporation has provisioned a new portal for all their application/framework documentation and are also placing the ability to add to that content. So no longer navigate to msdn.microsoft.com. The central portal leads to additional functionality and information sharing not previously offered. Critical: Do NOT delete files from the Windows Installer folder. C:\windows\Installer is not a temporary folder and files in it should not be deleted. If you do it on machines on which you have SQL Server installed, then you may have to rebuild the operating system and to reinstall SQL Server. If KB3164398 or KB3138367 are installed, then no further action is necessary. Power Bi now honours new lines in content, either when it’s in the data you load from source or when you specify it in a DAX function. Custom visuals store is brought into the Power BI Desktop. From the Home ribbon, open the store, to browse visuals and add those to your Desktop. Power BI responsive visualizations change dynamically to display the maximum amount of data and insight, no matter the screen size. As a visualization changes its size, Power BI prioritizes the data view, for example removing padding and legend tweaks such as moving the legend to the top of the visualization – automatically, so the visualization remains informative and beautiful even as it gets smaller.